Welcome to the Ziff Law Firm, LLP’s legal malpractice webpage. Our attorneys have been providing skilled, aggressive and ethical legal services to clients throughout New York and Pennsylvania for over half a century. We provide the full range of legal services to our clients including helping those who have been damaged by a lawyer’s mistake or misconduct. We are committed to upholding our fellow attorneys’ ethical and legal obligations to their clients. At Ziff Law Firm, we appreciate the deep trust that our clients place in us and work hard to preserve that trust and maintain the integrity of our industry. If you believe that you have been damaged by an attorney’s professional malpractice, please contact us today to discuss your situation. We do the best we possibly can for every client in every case. We have a proven track record of achieving great results on behalf of our clients. Legal malpractice suits are based on an attorney’s failure to perform legal services according to a minimum standard of professional care imposed by the law. When this breach of duty causes injury and actual loss, clients may be entitled to compensation in the form of damages. 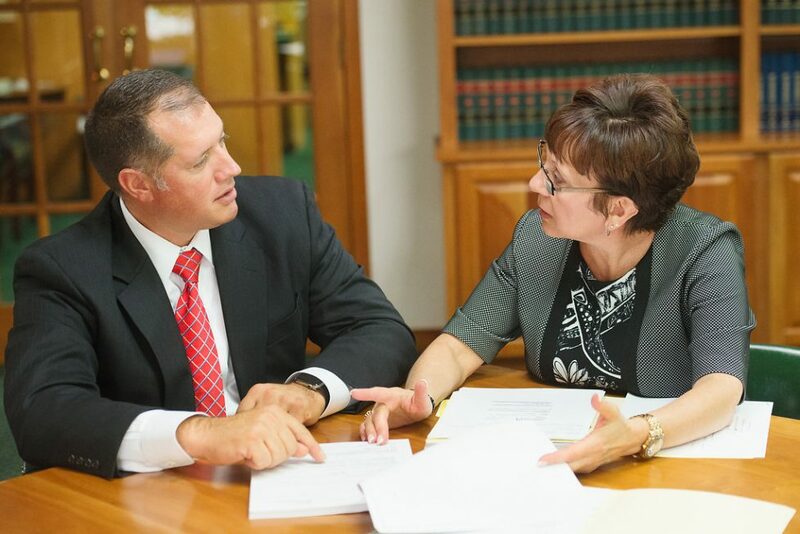 If you think that your attorney failed in their duty regarding the handling of your case, you need an attorney who can prove that your former attorney’s actions caused you injury and actual loss. Negligence occurs in cases where an attorney has failed in their duty to act in a reasonably careful way. Failure to properly advise a client; accepting cases for which they are not qualified; mishandling a case; missing court deadlines; and failing to adequately investigate a case are some of the types of negligence for which an attorney may be liable. Breach of Fiduciary Duty — the client/attorney relationship is special and is known as a “fiduciary relationship”. Fiduciary relationships impose the highest duty under the law. Attorneys must act with the “utmost care” and treat the client’s interests as their own, providing undivided loyalty to their client. In cases where a lawyer has acted with a conflict of interest, improper motives, or betrayed the confidence of their client, they may be liable for a breach of fiduciary duty. Conflicts of Interests that occur if a lawyer’s personal interests or representation of another client’s interest that opposes yours. Clients are entitled to place complete trust and confidence in the lawyer hired to represent them. The legal team at Ziff Law Firm takes legal malpractice personally, and we are committed to restoring your faith in legal professionals. Please contact Ziff Law Firm at 800-ZIFFLAW (943-3529), or save time with our Contact Form. Our reputation for success is based on our ability to provide our clients with the tools necessary to successfully pursue legal malpractice cases.